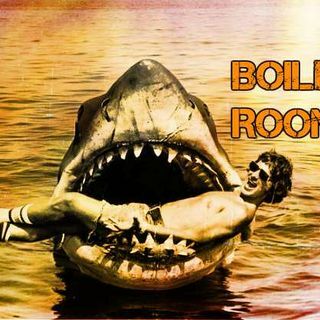 Boiler Room #104 Broadcasting LIVE out of Austin Texas with Hesher, Spore, Jay Dyer, Infidel Pharaoh, Andy Nowicki and the rest of the Boiler Gang on Alternate Current Radio. Join ACR hosts Hesher and Spore along with Jay Dyer of Jays Analysis, Patrick Henningsen of 21WIRE, Infidel Pharaoh (ACR contributor) and Andy Nowicki, author of Conspiracy, Compliance, Control & Defiance, for the hundred and fourth episode of BOILER ROOM. Turn it up, tune in and hang with the ACR Brain-Trust for this ... See More weeks boil downs and analysis and the usual gnashing of the teeth of the political animals in the social reject club. We’re breaking down the developments in Syria and the Trump approval of military strikes in Syria.